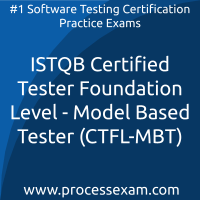 After giving CTFL-MBT certification exam by practicing through the ISTQB Certified Tester Foundation Level - Model-Based Tester mock tests, i gained many skills which helped me add to my career in many ways. 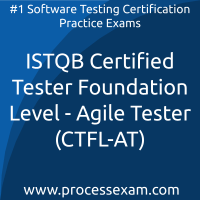 ISTQB CTFL mock tests are my hero. 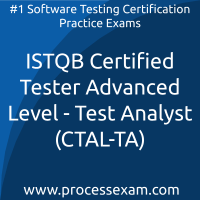 They saved me from the age-old pdf dumps and made me choose my career above everything else. 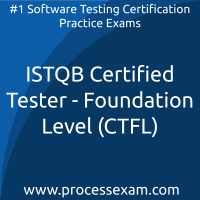 I cleared ISTQB Tester Foundation certification exam with good scores recently and am very happy. 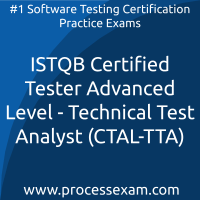 I was not able to bring myself to clear the ISTQB CTAL-TM exam earlier but since the day i cleared the mock tests regularly, i became very very interested in this format of studying. 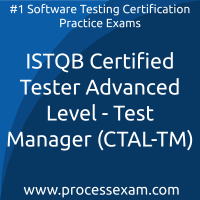 I am happy that such a thing is being done to give students like me confidence and motivation to clear the actual certification exam. Unfortunatelly, I failed today attemp. I got only 50%. I understood I had to read book better. I was suprised that I didn't get any questions from this question's bank on my real exam((( Anyways, the site is good and help me to pay attention some topics that I haven't read before. Don't do my mistake, read the book+mock test.